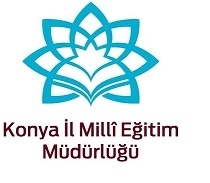 Konya Provincial National Education Directorate (Konya IL MEM) is a state institution in charge of the planning and coordination of all kinds of educational and training activities in pre-school, primary, secondary and adult education in Konya. Konya Province has 31 districts with 2370 schools, students and teachers in total. Konya İl MEM is an umbrella organisation for all these. In scope of Erasmus+ we are interested in taking part in Strategic Partnership Projects with universities, educational authorities, schools and NGOs so that we can promote the development of vocational education in our region. Konya is one of the most industrialized city in the middle Anatolia region. With the new education system there is a cooperation between Industrial organizations and Vocational Schools. In attachment you can find more detailed information about our directorate and some of the EU projects we have carried out since 2007. If you have plans to write a project and you are looking for project partner that is very motivated to contribute to all stages actively, please feel free to contact with us.